Smartphone Nation Today is iPhone 4S launch day! Today is iPhone 4S launch day! The phone is now available on Verizon. AT&T, and Sprint. Many people waited out all night to get the iPhone first! 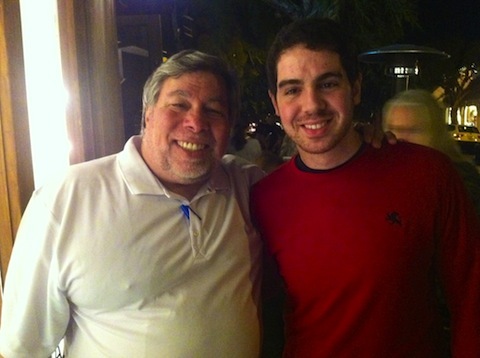 In fact, we got a chance to catch up with Steve Wozniak (The Woz), cofounder of Apple, who was first in line at the Los Gatos Apple store. We have been monitoring stock and it seems that many of the Apple stores are still in stock with most models. If you want to grab a iPhone 4S, hit your local store and you may have a chance to still grab it on launch day. But the day was not plague free, we’ve heard intermittent issues activating on AT&T’s servers. Did you all get your iPhone 4S?